SKU: ELLYRES4. Categories: Carthaginians, Plastic figures. 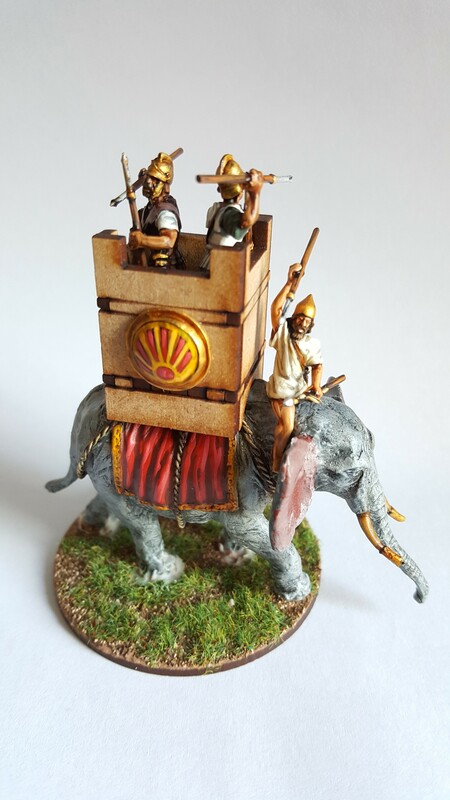 Hannibal was said to have ridden the last of his elephants through the Arno marshes in Etruria, to surprise the Roman Consul Gaius Flaminius and eventually draw him into battle at Lake Trasimene. The cost of crossing the marshes was high for Hannibal – he is said to have lost an eye to infection and his pack animals all died. However, his surprise was total, and the enraged Gaius, panicked by Hannibal’s appearance in his rear and further provoked by the Carthaginian burning the crops of the region he had been sent to protect, rushed headlong in to one of History’s largest ambushes!